Producer's Corner: DJ Mustard Explains The Ratchet Movement, The Weirdest Place He's Heard "Rack City"
Businessmen say that the customer is always right, and deejays often have the same philosophy—whatever music gets the people dancing and having a good time is right choice for the night. After DJ Mustard spent years catering to clubgoers as a teenager, he began producing and used his crowd-pleasing expertise in the process, crafting “ratchet” music. Backsides have been bouncing ever since, with numerous Tyga (“Rack City,” Poppin,” “In This Thang”) and Y.G. 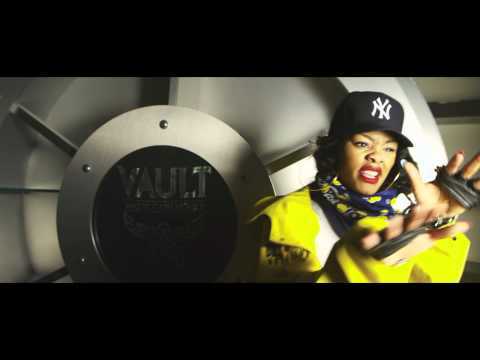 (“I’m A Thug,” “Grind Mode”) records filling dancefloors, and newer songs like Teyana Taylor’s “Bad Boy” and Bow Wow’s latest single, “We In The Club” bubbling. 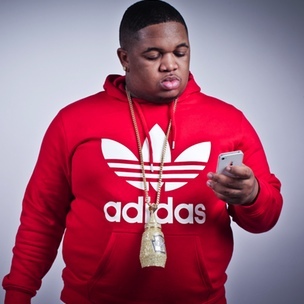 His upcoming mixtape, DJ Mustard On The Beat Hoe, which drops later this month brings old friends like Tyga, Y.G. and Nipsey Hussle along for the party. In an interview with HipHopDX’s Producer’s Corner, Mustard talks about deejaying’s effect on his music, inspiration from the likes of Dr. Dre and Swizz Beatz, and more. HipHopDX: As someone who is there firsthand, how would you describe the “ratchet” movement? DJ Mustard: Man, ratchet is just a real street movement. You know what’s ratchet. It can mean ghetto, it can mean we’re all having fun and getting ratchet. A lot of people say ratchet can mean bad stuff, but I don’t take it that way. Everybody’s got a little ratchet in them. Everybody’s got a little ghetto in ‘em, White people to Black people, everybody. … I just want to make people have fun. The L.A. stuff with the gangbangin’, that stuff is over with. Nobody wants to be worried about fighting. I just make stuff for people to party to, and that’s what L.A. ain’t had in a long time. DX: So what’s the latest with you? DJ Mustard: I just left a studio session with Jasmine V, she did a lot of records with Justin Bieber. I’ve got records with Y.G., stuff with Tyga, I’ve got three [songs] on Bow Wow’s [Underrated] album. I’ve got one on someone’s album, but I can’t say their name, I guess he doesn’t want it to be out there like that. And another big, big rapper got four beats. I’m just trying to come with it. DX: How did you first get started? DJ Mustard: When I was 11, I got left at a party and I learned how to deejay throughout the years. By the time I was 14, I was deejaying my high school parties and stuff like that, so I was already musically-influenced. I was already going to clubs and listening to music, figuring it out. Three years ago, I started watching my friend making beats, and I started watching him. I’m like, “Dang, I want to do that.” So I taught myself everything: I taught myself how to play piano, I taught myself everything to make beats. And I’ve got the ear, because I’m always in the club deejaying. After being in the club so long, I just started making stuff that I thought the clubs would react to, and they just reacted to it. DX: How much does being a deejay help? DJ Mustard: Almost all the greatest [producers began as deejays]—Dr. Dre, Swizz Beatz. I know what to play in a club, because I can read a crowd. I can deejay a bar mitzvah and know what to play. It’s just knowing what you need to do, for all genres. I don’t just do Hip Hop, Ratchet music and stuff like that—I can also go in the studio and make an R&B track. I can also go in the studio with a Jasmine V. and make a Pop record. I can do Backpack-Rap. I can do everything because of how long I’ve been deejaying and listening to music. I’m a real big fan of music, so I listen to everything—Al Green, Frankie Beverly & Maze, James Brown, [The Notorious B.I.G., Tupac] everybody. I’m real influenced by it, I take what I hear and try to flip it to make something new. DX: Many people would be surprised to hear some of those names as influences, because your music sounds nothing like them. What kind of influence did they have? DJ Mustard: Dre is the greatest. He just has this ear, he can’t put out anything bad. I feel the same way about Swizz and the same way about Kanye [West]. They’ve been doing it for so long, it’s like they can’t do nothing wrong. They make timeless music; you’ll be able to listen to their music forever. I want people to listen to DJ Mustard beats forever. DX: A lot of people would say that the music you’re making is trendy, and it’s popping right now, but that they don’t know how long that sound will be around. Do you think that sound will be around long? Or that you will just evolve your sound to stick around longer? DJ Mustard: I think no one sound stays around. The music industry changes every day. I don’t think that this sound will be around forever, but that what I do will eventually evolve and be something different. Back in the day, when I was a kid, they were making a lot of west coast music. Not to say that that sound left, but that’s not the same sound on the west no more, but it still is—they still have an influence on what we do. There’s a lot of stuff they did that we do now, like sampling their vocals. On the record for Y.G., I sampled a record from [Dr. Dre’s] The Chronic. All we’re doing is rewinding, and doing what they did over, but in a new way. DX: How did you initially link with Tyga and Y.G.? DJ Mustard: I’ve been knowing Y.G. for about four, five years now. I was on my deejaying stuff heavy, I wanted to be like [DJ] Drama and I was doing mixtapes. I got Y.G.’s first mixtape [4Fingaz], and I didn’t even know him. I made a mixtape off of his records, got back to him through our mutual friend, and we’ve been cool ever since. I became his tour deejay, and I still tour deejay with him too. That ended up being “Rack City.” I sent that on Wednesday, and he turned it back in on Thursday or Friday. It was real quick. DX: Do you like working with younger artists like that? DJ Mustard: I feel like when you break an artist that wasn’t really popping, and I made the beat, you get more credit for that. Anybody can do a beat for Rick Ross or Lil Wayne, and it’ll be a hit the next day. But if you can put something to somebody else’s career, and make someone somebody based off of your productions, you get more respect that way. The beats that are out aren’t incredible, crazy beats; it’s real simple right now. Anybody can make them, and there’s a lot of producers out here making the exact same thing. If you put more focus into these young people that’s coming up and that’s in our age group, you can get more credit because…you’re building a movement with somebody. Not that I don’t want to do stuff with big artists, because I do. But I just feel like you get more credit when you do something for younger, unknown artists. DX: Do you ever worry about being boxed in to the “ratchet” sound? DJ Mustard: That’s just how this industry is. If you make a “Rack City” or a “N**gas In Paris,” [by Jay-Z & Kanye West] of course, everybody’s going to come to you for that same thing. It’s your job to show them that you don’t do just that. … Normally, if someone’s sending a beat to Waka Flocka [Flame], they’ll send him a beat [that sounds] like Lex Luger. But I won’t send a beat like Lex Luger, I’ll send something different to see if he’ll do something different. Usually, when someone jumps out of their box to do something different, it always works. I can see everybody doing something different. DX: “Rack City” is everywhere. What’s the oddest, or funniest place you’ve heard it?